It's time to briefly touch upon the not-so-nice part of the world for just a moment, as "almost 500" people have fallen victim to an eBay scam involving non-existent Switch consoles. The seller, going by the name 'gtrade2015' on eBay, had multiple Switch consoles listed for £230 (£50 cheaper than the official retail price). The 'offer' was featured on popular deal-sharing website, hotukdeals.com, with users flocking to the store to pick up a cheap console. The Sun reports that the consoles were due to arrive by Thursday, 14th March and that the seller even provided buyers with fake tracking numbers. The eBay seller in question is reportedly a Manchester-based registered company and was classed as a "top-rated seller", which likely helped many buyers in their decision to trust the product listing. The consoles never arrived, however, and the seller has now removed all products from its eBay store and isn't replying to any contact made from customers or press. A quick look at the store's recent feedback paints a pretty clear picture of what's happened. The Sun notes that a spokesperson for eBay has confirmed that it is aware of the situation and is investigating, stating that buyers will get their money back if eligible under the site's money back guarantee scheme. We're sure it goes without saying, but make sure to be aware of any unknown sellers and do your research before handing over any cash for your gaming products. We'd urge you to shop with safe, reputable stores when possible. Whatever. I'm glad I bought mine in person at a store not too far from me. This is why way to good to be true deals are a horrible idea to buy on websites like ebay. Compromised account perhaps? Happened to me when I tried to buy a game on there once, got a quick refund. Just used the eShop instead in the end. Not particularly smart to buy something like a console from a random eBay seller. Even if they are legit, there's too many things that could go wrong. Buy from somewhere where you can easily return/replace your system under warranty. This is one of the main reasons I don't use eBay very often. The same exact thing can happen on websites like Amazon, but this is pretty common on the former. And now that I know that being a top rated seller can be faked, I am even more wary. @SuperJoon @MysticGengar I think the price is pretty believable in this case so I wouldn't really say it's too good to be true. Still not worth the risk though. Ebay is now full of buyer and seller scammers alike. Haven't used it in close to a decade. I oftenly buy some used games from Ebay if i cannot find from playasia. Stuff like this is why I don't use or trust eBay. It's a shame that some like swindling others out of their hard-earned cash. Some of these schemes are easy to spot, but others...not so much. Sorry but I have no sympathy for people that try to buy the console second-hand off someone else. You know the risks. That's why society is built around retailers and such so that they can be held accountable if issues crop up. I've bought multiple used and new consoles from eBay, not a single issue. The only time that I had a problem, is that one console probably got messed up during the shipping process, as it wasn't reading discs once I plugged it in. The seller immediately gave me a full refund and told me to keep the items though, even after I offered to return the console. Just gotta be smart and RESEARCH the seller if possible, avoid buying from Chinese or "Japanese" sellers too. To be honest I have bought on Ebay a lot and never had any problems. But you do need to have your wits about you. There is no way you can go into any sort of decent size transaction on there without doing your due diligence. I am always pretty confident in what I'm buying then ebay has back ups too to make sure in the event of a scammer you get your money back. Check the pictures - quite honestly the more the better and they need to look like they have been taken by the seller - no stock images. If a game or console is open then you want a photo of it working ideally. Check the description - if the description is crap and it is in poor english or too few words to tell then do not buy it. Don't buy things on buy it now that are too good to be true - ever. Auctions tend to be safer. Be aware of anything that comes from China or Hong Kong in particular. Be wary of games without boxes - particular danger zones are the pokemon games on GBA and DS. If you are buying GBA games there are good guides on how to identify a genuine copy but at very least look up a picture of a genuine cart. The fakes are often obvious. Check the buyers ratings and read the feedback. Any sense that all the answers are too generic, too few or in poor broken english then beware. Not sure still then maybe contact the seller and see what sort of reply you get. As I say I have never had a problem as a buyer or seller. When you consider the price is still at £279 or near pretty much everywhere, £50 off to me anywhere would be considered too good to be true. Especially when they're decent bundles available if you look around. However, as he was a top seller etc, that would make it seem believable. Played the long game by getting his rating up, then screwed loads of people over. This is part of the reason why I stopped buying stuff off Ebay. It served a purpose for me back when I was really into collecting classic games, consoles, and accessories. It's honestly the only real resource for acquiring that rare and old video game stuff. Thing is I eventually hit a point where I felt satisfied with my classic gaming collection and that was the last time I used Ebay. I remember buying a few "new" items and getting scammed. I remember how I bought a DS game and when I got it the game was obviously a counterfeit (the case felt cheap, it had the wrong paper being used for the cover art, the seal of quality was all wrong, ect) and the guy had the audacity to act like I was in the wrong. I just bought mine new on Amazon. Hope those folks get their money back and purchase a new console from an authentic retailer. They’ll get a warranty, to boot! @mattesdude All the time. It's great for cheap wireless earbuds and shoes. Also if your a game collector you can sometimes find some pretty good lot deals. Just gotta be careful as well to avoid fakes. If you see a copy of earthbound for less than 100 dollars it's most likely a reproduction. 1. Do not buy from China / Hong Kong users. 2. Find the users with rating more than 99%. 4. If they display their items with real photos, observe their conditions. I saw someone on Ebay recently put up two ads for Super Mario Bros Deluxe and Pokemon Let's go Eevee for about $22-$25 Canadian each brand new with over 10 copies available. About 5 hours later the ads got taking down. I still have the seller on my bookmarks, just to "keep an eye on him" XD. Also, so far the seller got no negative reviews so far. So not sure if it was a scam or not, but he might have been one. Wait, did that person leave neutral feedback to complain that they had been scammed? @Anti-Matter Yep. Exactly. And people really should be applying those steps when buying from any online store. Hopefully these people will learn from their mistakes. @Kuksenkov I actually do buy off from Chinese sellers on Ebay for certain mini things and certain other things that my dad gets out of China. Like Screen Protectors, stylists, all those little goodies that you can buy for cheap there instead of spending a FORTUNE buying it in retail stores by me, or other sellers on Ebay, etc. Yeah it may take almost a whole month to get to me and it may not be official stuff, but that is not a problem. Another thing wrong with Ebay is those Import Charges. Can't believe they are still doing that even when it is illegal........... Only the Government can do that. Yea i got scammed on Ebay by someone selling a brand new copy of Mario Kart for Switch for $20 shipped to my door from china. But Ebay caught it and payed me back in less than 2 hour from purchase to refund. Absolute scumbag. How do people like this sleep at night? I mean this article is literally about people getting ripped off by a seller who was "top rated." Clearly the kind of advice that you are giving isn't foolproof. You are basically committing a "if it didn't happen to me it can't happen to anybody" fallacy. I don't feel this is symbolic of a retailer or platform. Someone took advantage of a hot product with a to-good-to-be-true offer. It's just a reality there are scummy people in the world, and one must be on guard. my best to the buyers whom were conned and hope they can get some recovery. i actually bought my switch off ebay from a seller selling a bit below market price and used an ebay promo code so it was only $224. Came in about a week, brand new. I've had no issues over a year on. So yes, usually those deals are too good to be true but sometimes magic happens. From what I’ve understood they are typically sociopaths. They sleep just fine because they do not and are unable to consider how their crime affects others. All they can see if from their own view point. I have sociopathic tendencies, so I have to watch myself and really work on considering how others feel, and what affect my actions can have on them because it doesn’t come naturally for me. Stuff like this makes it more difficult to be an eBay seller/buyer. For the most part, take the advice of @Medic_alert (comment #16). Yes, unfortunately, listings can look, and even be very authentic, and the seller still scam a person, or a person/co. 's account get hacked, and abused. On top of that, any seller can claim an item is in the mail, or lost in the mail, though this is harder to be convincing since you should have a tracking number, if that's the case, and a fake tracking number can be given also. You have to be really careful buying/selling online. Another thing, as a buyer, and moreso as a seller, the feedback system is not perfect, and for sellers like myself, I'm always seriously spooked about 1 bad feedback ruining me in a very-hard-to-recover-from kind of way. Frequent eBay user here. These scams are common nowadays. Around Christmas time there was an extreme amount of compromised accounts primarily selling electronic devices like phones and consoles. All of them had excellent feedback, but if you looked at their sale history the items they previously sold almost always had nothing to do with what they were currently selling (e.g. A seller I came across exclusively sold military paraphernalia, with their description and avatar stating as much. All of a sudden supposedly they were selling a multitude of consoles and phones for cheap. These listings were a short time later confirmed to be scam listings by eBay). All of these sellers typically had at least a month's gap since their last item sold, and many of them had thousands of positive feedback comments. The number of compromised accounts don't seem to be nearly as numerous now, but they are certainly still present. -First and foremost, be aware of what action you need to take through eBay in case you're ever scammed or duped in some way. eBay money-back-guarantee will cover you in most cases. -Always be cautious of who you're buying from even if their feedback seems excellent. Examine their selling history and see if the item they listed makes sense with what they have previously sold (especially listings with numerous available units). -Do research on the web in relation to if and how commonly the item you're interested in is counterfeited and learn what signs to look for. -If you're tempted to buy from a Chinese seller (depending on the item) be aware of the risks and telltale signs - There are a lot of counterfeits (such as PC GPUs, console controllers, micro sd cards, game cartridges, etc). -Be aware that filtering item location won't fully eliminate undesired foreign listings. Look at telltale signs via seller's name, item description and/or "off-looking" listing images. -Buying from a seller with low or no feedback is risky but can have big payoffs due to low amounts of bids. Examine all the items they're currently selling and judge if the details in their listing "seem legitimate." For me eBay is the best way to find great deals on items. I'm fortunate enough to have never been swindled out of money via buying or selling through eBay yet, but no amount of judgement or knowhow will make those processes completely foolproof. Most of the sellers people will typically encounter will most likely be genuine. However, being scrupulous goes a very long way. @mattesdude Yeah I have better luck with ebay than Amazon. In fact, have had perfect luck with ebay. With Amazon it's always "NEW" and the box isn't sealed or something. There's accounts being compromised all the time on there, you get your money back though. Not sure about the not intelligent enough to work comment. Good way of spotting them is they'll sometimes sell the item at a much lower price than usual so when it looks too good to be true it usual is. 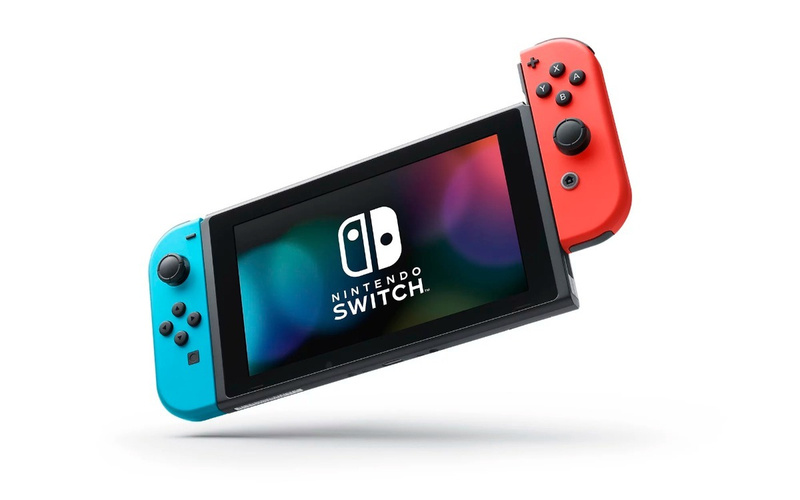 A switch is not what I'd buy on the used market......Ebay is still great for many things and I use it a lot still(still great for music, music instruments, and music memorabilia as well as other things)...but for gaming hardware...if it's still available new, I wouldn't buy one used. Now retro gaming is another thing altogether!? Just have to be smart and shop wisely. Been using ebay since 1999, haven't been screwed over yet(thankfully). If you have success with a seller, it's good to put on the fav. sellers list and remember them if they have an ebay store that sells those items commonly. @USWITCH64 No it was EGlobalCentral although I did see that website also. I love eBay. If there is a problem you contact the seller to get your money back or to replace item as advertised, if that fails. Then go through the ebay resolution centre, open a ticket request, you as a buyer are protected and also protected by PayPal if all fails. Money back guarantee. I’ve had a lot of instances where the seller just gave me the item again or opened a case and got my money back. @BenAV To be fair, as long as you pay with paypal and item is covered under buyer protection (usually is), worst that happens is a time inconvenience. the frauder never gains access to personal billing information they can use again since it was handled by secure 3rd party transaction and ebay/paypal will be happy to reimburse user when they do a claim. That said, can save self a lot of time by trusting instinct and finding a credible review history that actually goes back a bit and not a bunch established within a very short window (those easy to fake, seller can just bully people in giving reviews early or create a lot of fake accounts to buy several of their fake items and review themselves). @Dilated That doesn't make these types of things any less bad though. People who have sociopathic tendencies can still think, I'm sure. And with a little thinking, you can come a long way. Maybe I'm thinking too easily of it though since I'm the kind of person who ALWAYS tries to think about what my actions can do to other people and feel really bad really fast if I do hurt someone, even if u don't know the person. But are sociopathic people just unable to think logically or something? Because it's pure logic that this kind of behaviour can put people in trouble. I do apologise if I do think too easily of it though, I'm just trying to understand how these kinds of people think. This is why you use amazon or just buy your products from the store. I guess this is why I do well as a seller, I sell for only £1-2 under the next cheapest and always sell within a week! Saying that, I bought my switch for a mere £200 from a local ad. I picked it up in person and have been using it since... And to flipside that I got scammed from a ps4 deal for £120 with a few games. So I guess it doesn't always pay off and most of the money I saved from cheap purchases over the last 2 years were probably ruined by that guy that ripped me off. You really do have to be careful. Rule to live by: If it seems to good to be true, it probably is. And getting a Switch that much cheaper is pretty obviously too good to be true. Very logical, but not emotional. So in my case I feel nearly no emotions for other people, other than how they can benifit me in some way. Now, I don’t go robbing and stealing but I did that (stealing that is) in my youth before I understood my condition. So essentially the best I can do is try to put myself in someone else’s situation and try to emulate what that might feel like it it were me, but for the most part I don’t feel anything towards others. I don’t even feel a sense of remorse for my past actions, I am grateful since I was able to learn about my own condition through them. So as an adult, I have to actually work on myself regularly, because I’m good at convincing others to do things I need or want them to. thereby taking advantage of them in that way. Not all sociopaths are bad people, but I wanted to explain to you why someone that does these things sleeps well because they don’t feel any pain over what they did. I saw this 'bargain' and was seriously tempted, so I dodged a bullet there. As others have said Ebay is still a great way to get good deals, especially on smaller items, and also a good way to sell belongings you no longer want or need. You just have to do your homework - although that wouldn't have helped in this case. The good thing is that PayPal can protect you. Also, before being too judgemental about the morals of all sellers based on this particular crook, it's worth noting that honest Ebay sellers can be conned by dodgy buyers who make all sorts of claims to keep the item they bought while expecting a refund too! Happened to me a couple of times. When I had my Wii U I bought a lot of games used off eBay. Always worked perfectly, always arrived. I even bought my Switch off eBay during one of their 20% off anything sales. Got it for about $235, think it was listed as $289 before coupon. Was brand new and still works great (although I did send left joy-con in for replacement when it got a major drifting problem. Almost positive it was caused by Fortnite). So while you have to be careful on eBay you can def find legit great deals. So question: How skeptical should I be around geek.com for Switch products? I just recently ordered a new pair of joy cons from there and they were totalled to $52. Let me explain, Geek sells almost everything for half off the retail price. Some for up to 90% off and the stuff I order from them has usually been of good value. This is my first controller purchase from them and I hope I didn't waste my money. This is why I prefer retail. Maybe i'm really a nasty guy, but i find that guy with the "Has to steal as not intelligent enough to work"-feedback hilarious, the fraudster was apparently intelligent enough to fool him! @Dilated Thank you for that explanation! Of course I'll never fully understand what it's like and of course I'll still never actually condone stealing or such no matter who does it, at least this sheds some light on how people with this condition operate. Also appreciate you being open about your condition and that you're trying to work on yourself. There's plenty of people who could follow your example. @mattesdude Sure, when older games go out of print. I oftenly buy some used games from Ebay if i cannot find from playasia." But in retort to Scam sales that crosses the line and eBay should banned those sellers for life. i'm sorry but they are partially at fault here. when you see deals like this where it seems too good to be true, this is where you are supposed to do research. if this deal is the only one like this on ebay, it's already a red flag. If you want one cheaper but new, i got bad news: you'll have a hard time finding one cheaper. either save money for a while or just don't buy it if you really can't afford it. This actually happened to me but on Amazon instead, back when the Nintendo Switch was first release and it was very hard to get i found a seller in Amazon selling it for $260 so i bought it, the seller took the money but it never arrived and they wouldn't respond to emails, luckily Amazon does guarantee refunds for cases like this so i got my money back quickly. @IceEarthGuard yeah I buy from them too sometimes, but no consoles or videogames though.